This entry was posted in Life/Photography and tagged Bridge, Brook, footbridge, Log, Morocco, postaday, River, Split-Second Story, Stream, weekly photo challenge. Bookmark the permalink. There is a story in this photo… I can hear it. That’s such a strong picture. I can’t seem to say anything else than “WAUW”! Yes, it is indeed. :-) Thank you for stopping by and commenting! Is it a crocodile, or a log for a pedestrian crossing? It’s a log for crossing the stream. 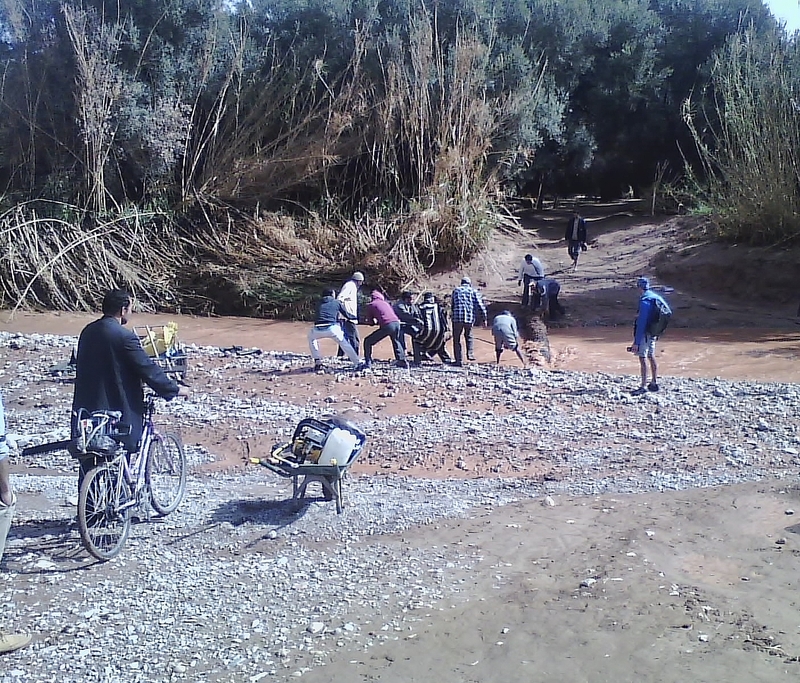 It was washed away by heavy rains in that area of Morocco back in 2012. Quite a complex story, there! Your photo reminds me of a very similar scene I saw in Morocco. I wonder what your story is. Similar to what I experienced there after a heavy rain washed away a bridge. At first I thought they were trying to get an animal out of the mud, then I read the comments about the log. Strange how first impressions make you convinced of what is in your own mind, so you look no further. Thoughtful stuff, and ideal for the theme. Best wishes, Pete. Since I took the pic myself It has never occured to me it might be anything other than a log until somebody asked about it in the comments. So I didn’t feel the need to even add any caption to the pic when I originally posted it. Now that an animal (a croc) had been mentioned below I can totally see it, too. :-) Well, just shows that reading comments is important. LOL! :-) Thank you very much for stopping by and for your lovely comment. :-) I appreciate it. Cheers! how neat. draws one in!